Plume is an unusual and extravagant peacock feather that combines a fusion of coloured pearls with rich emerald and violet Swarovski crystals against a subtle blue silver background. This style is ideal for those wanting something out of the ordinary. 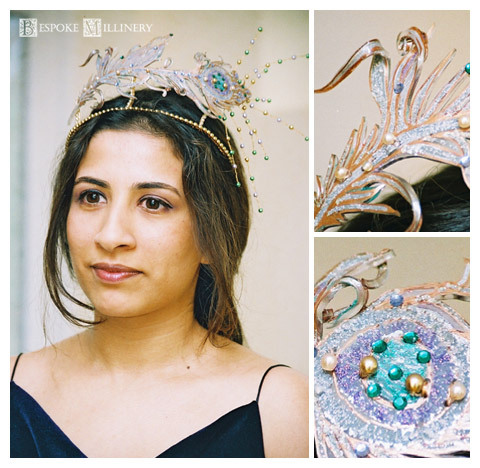 It can be worn as a luxurious tiara on your wedding day or for an amazing night out.